Tannay is a village and commune in the Department of the Nièvre, 65 kilometres north-east of Nevers and 13 kilometres south-south-east of Clamecy. 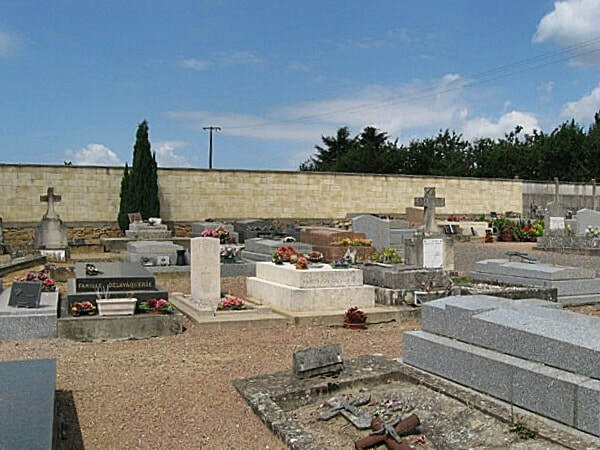 The communal cemetery is on the northern side of the village on a small by-road leading off the main road to Metz-le-Comte. From the village centre, take the Rue d'Enfer which changes name to the Faubourg d'Angle. Keep left at the fork and the cemetery is on the immediate left. The single WW2 grave is to be found near the northern corner of the cemetery. 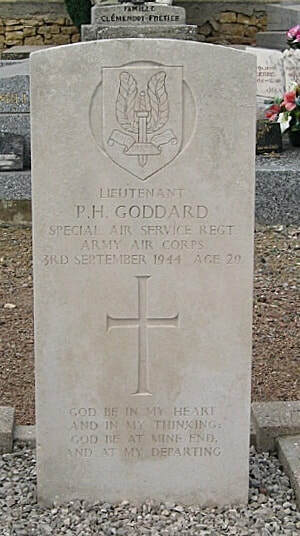 124418 Lieutenant Peter Holland Goddard, "C" Sqdn. 1st Special Air Service Regiment, A.A.C. Died 3rd September 1944, aged 29. Son of Sydney Frank and Elizabeth Goddard husband of Bettine Elaine Goddard of Selsey, Sussex. A Chartered Accountant. INSCRIPTION. GOD BE IN MY HEART AND IN MY THINKING; GOD BE AT MINE END, AND AT MY DEPARTING.